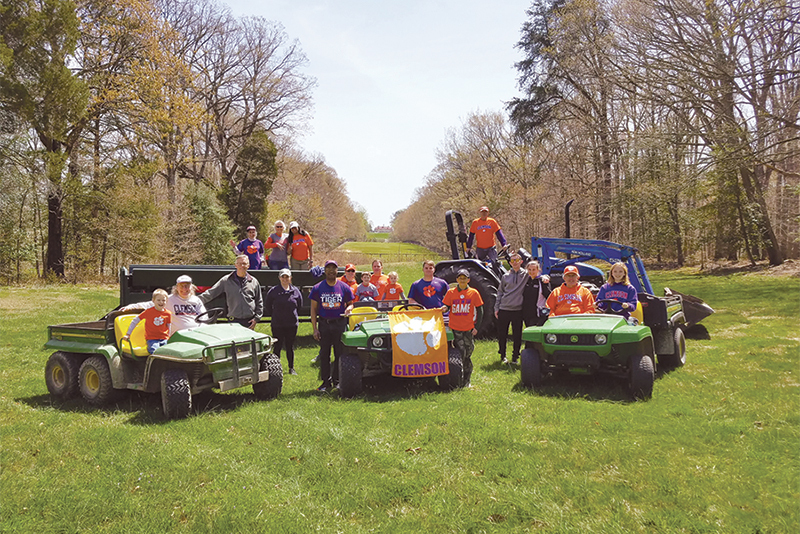 The Baltimore/Washington, D.C., Clemson Club spent Saturday, April 21, grooming the grounds of George Washington’s Mount Vernon estate and gardens. If you look carefully, you can see the Mount Vernon estate house in the background. 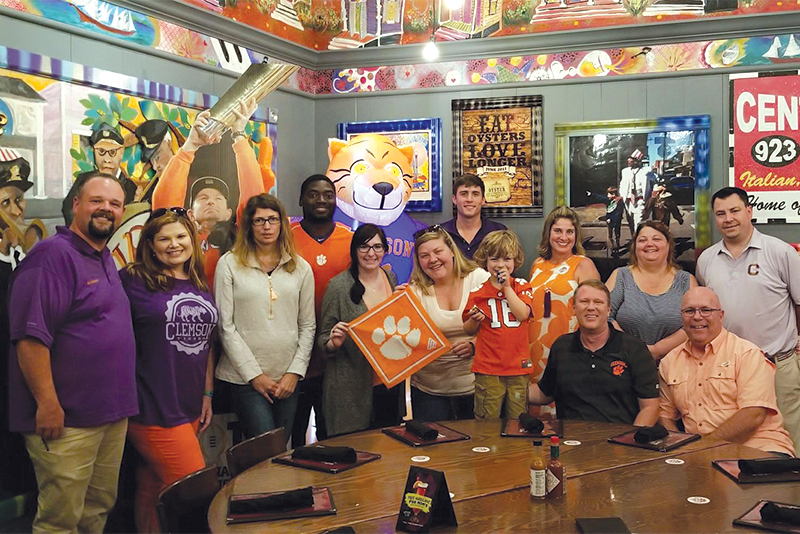 “Five generations of Tigers were represented,” said Rachael Wiker ’00, assistant director of the club. Dean Norton ’77, director of horticulture at Mount Vernon, coordinated this volunteer event. 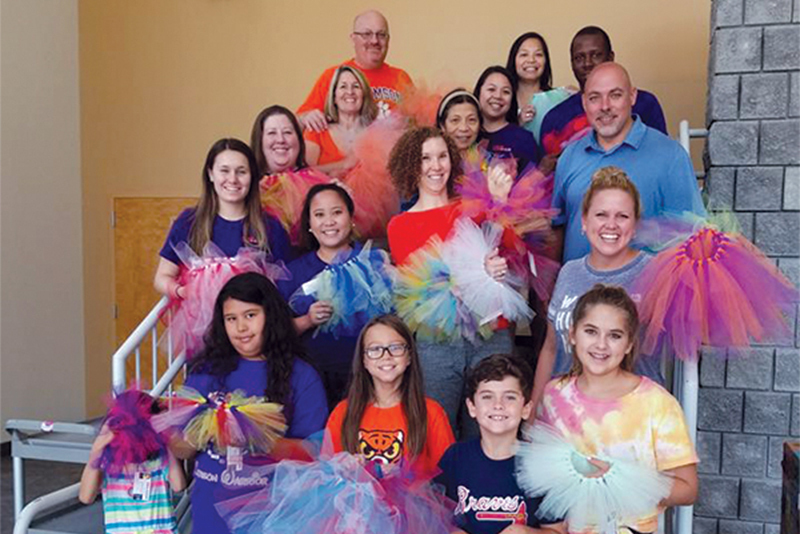 On July 28, the Atlanta Clemson Club crafted tutus for the Tutu Capers organization, which provides tutus and capes for medically fragile children in need of some “super power.” The fun garments are distributed at Children’s Healthcare of Atlanta hospitals, the Gwinnett County Juvenile Court and Gwinnett House of Hope. good food at Tibby’s New Orleans Kitchen. 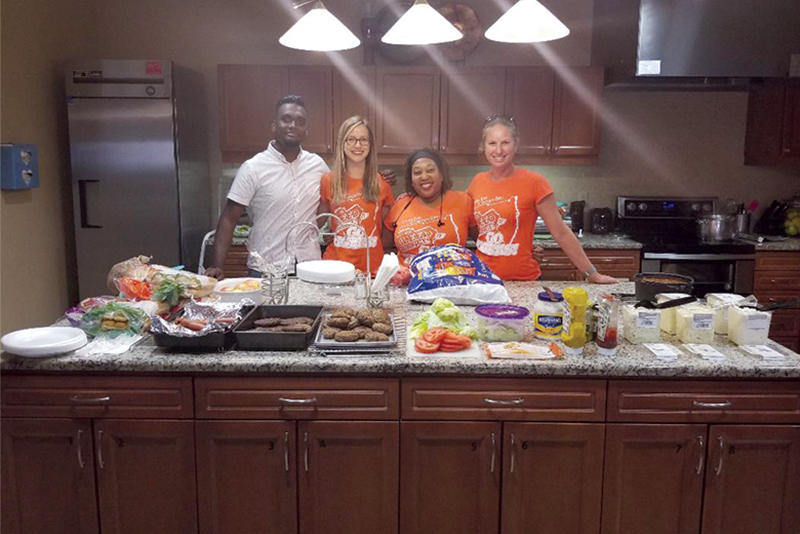 Members of the Tampa Bay Clemson Club prepared a hamburger/hot dog dinner for the current residents of the Tampa Bay Ronald McDonald House, located on Davis Island, on July 7. Those staying at the Ronald McDonald House have children receiving care at Tampa General Hospital or other area hospitals. In addition to the meal, the club donated cleaning products to help replenish the house’s inventory. 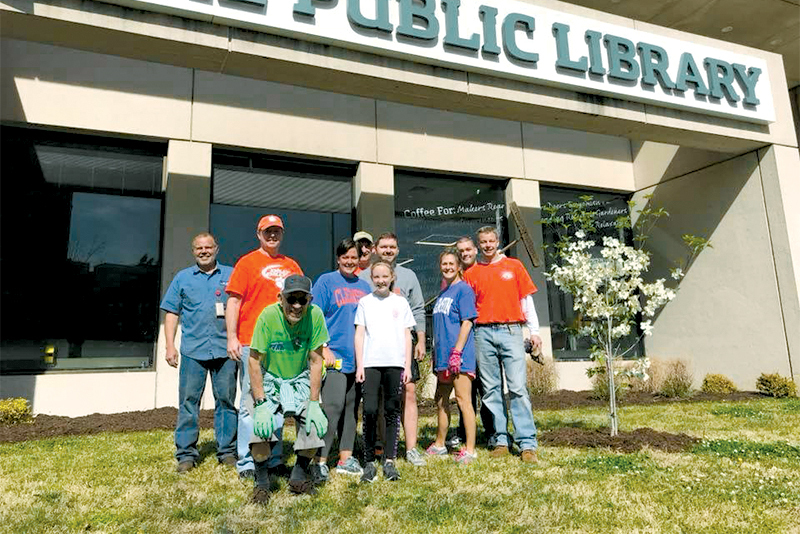 The Chattanooga Clemson Club spent its yearly “Clean and Green” event beautifying the grounds of the Chattanooga Public Library in April. 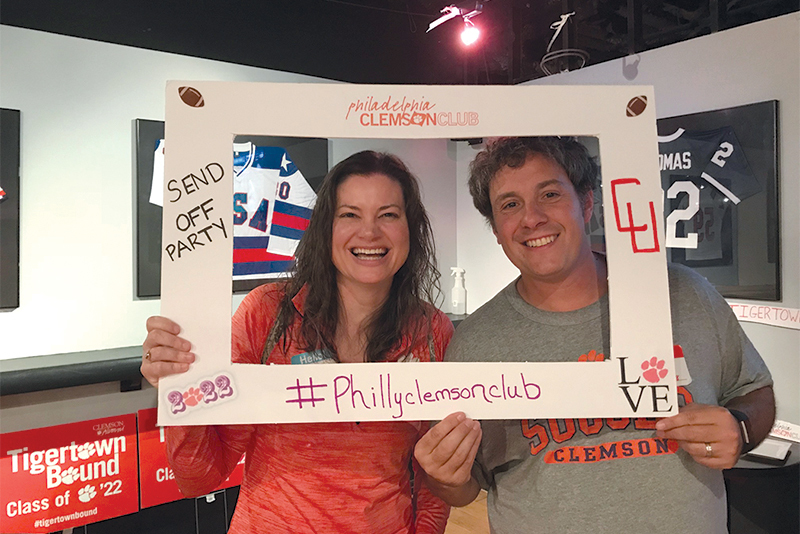 The Philadelphia Clemson Club held their new student party the weekend of July 20-22 at the Field House, where students and families mingled, enjoyed food and drink, and “learned the all-important cadence count,” according to the club’s vice president, Devon Garber ’01. 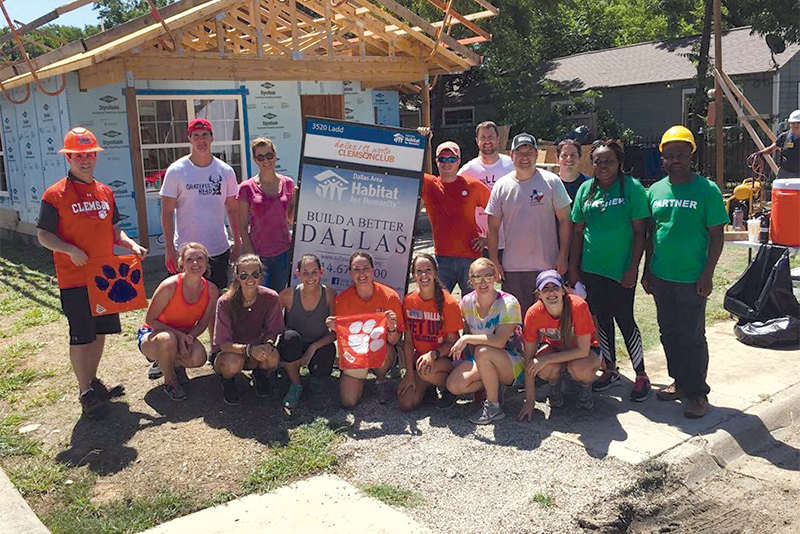 The Dallas/Fort Worth Clemson Club volunteered Saturday, July 14, with the Dallas Habitat for Humanity. In over-100-degree heat, 15 members of the club helped bulid a home in the West Dallas area, working alongside the home recipients. Are you looking to get involved with a local Clemson Club? Go to alumni.clemson.edu and click on “Join a Club” to find contact info or contact Bubba Britton at bubba@clemson.edu.